Just as Jonah was not abandoned to the weedy depths, God did not forsake Jesus to the grave. By the mighty power of his Spirit, God raised his Son from death. And as Jesus was resurrected, God will raise from the entanglements of hell all those who believe in him and his Christ. Sometimes, as Jonah had, people despair of ever returning to the land of the living. But let not your hearts be troubled; remember the Father who answers our prayers when we cry out to him in our distress. For a way of salvation has been opened for all people. That manner of deliverance from sin and death is Jesus himself. He is the way, the truth, and the life. Indeed, he is the only way to the Father who answers the prayers of all who believe. 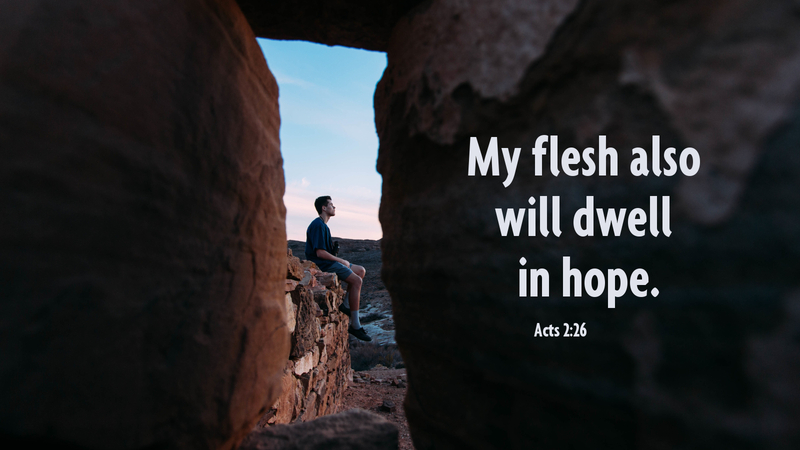 Even though we sometimes despair, wrapped up in this human nature as we are, our flesh may dwell in hope: hope of forgiveness, salvation, resurrection, and eternal life. For God will not abandon all those who call upon him through the blessed name of Jesus. He has promised, for Christ’s sake. Prayer: Thank you, Father, for sending your only Son, for sinners such as me. Amen.